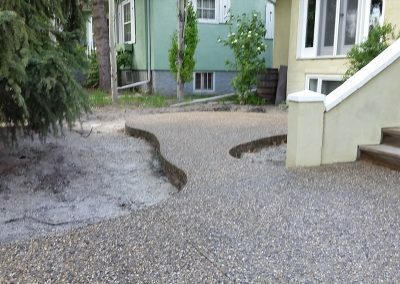 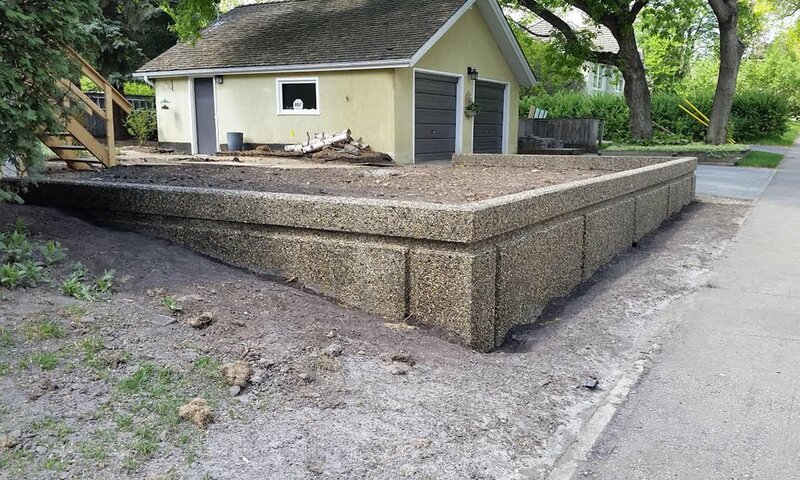 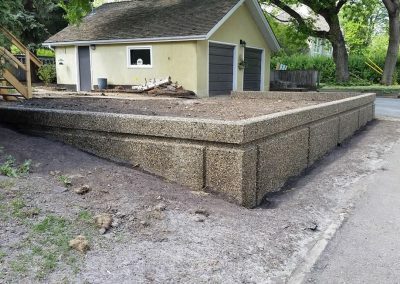 This is another residential customer who wanted to renovate their previous concrete with a look that flowed from the front to the back, and continued from the driveway to the walkways. 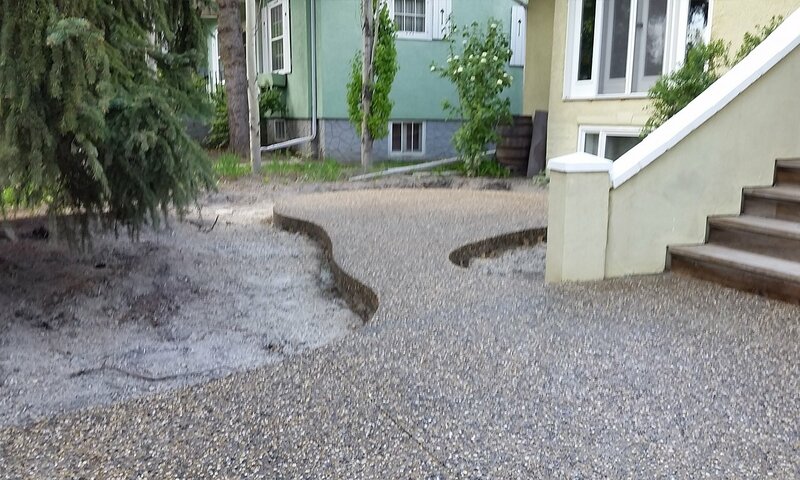 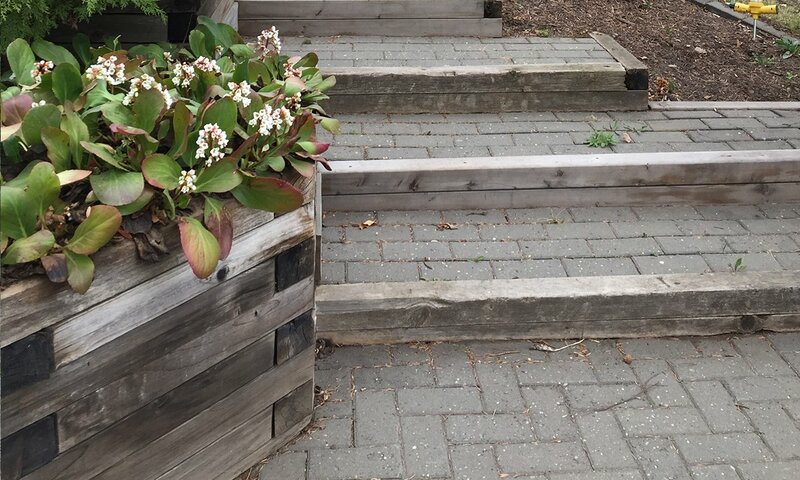 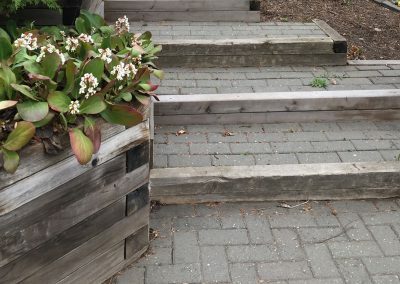 We used exposed aggregate to create a natural look that flowed throughout the property. 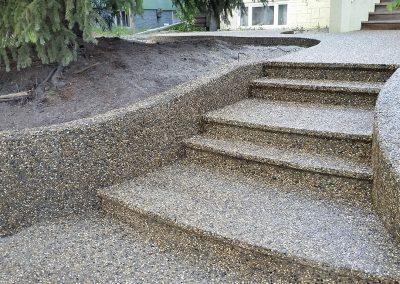 We love the result! 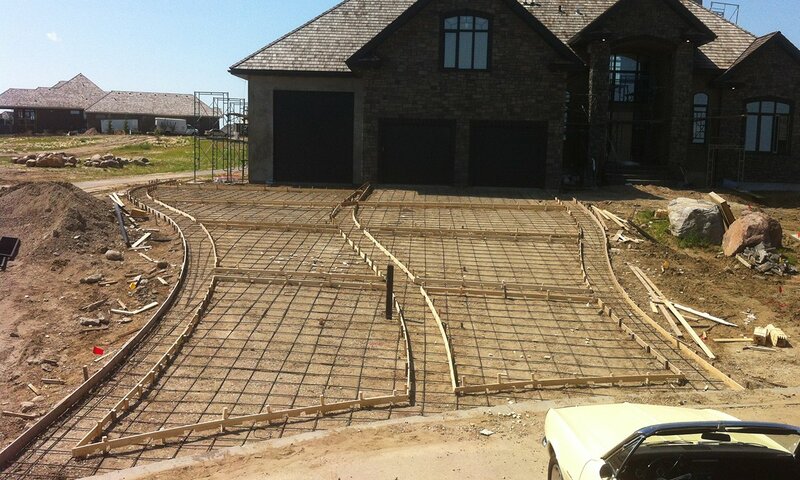 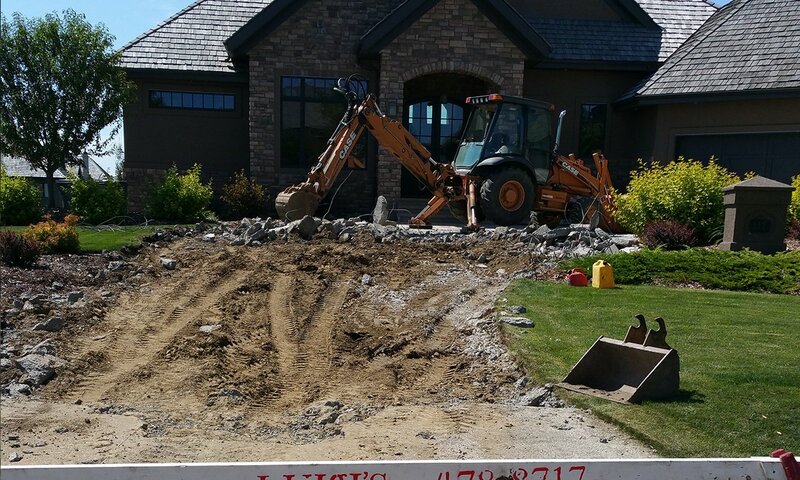 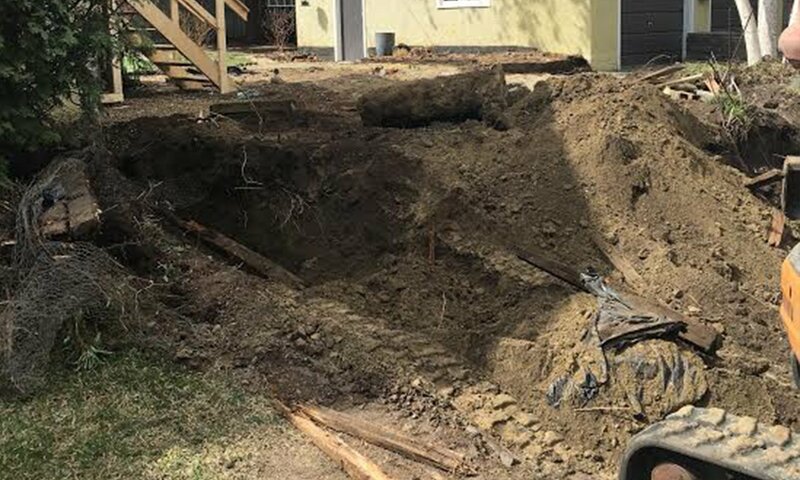 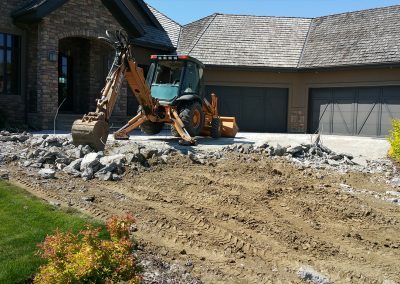 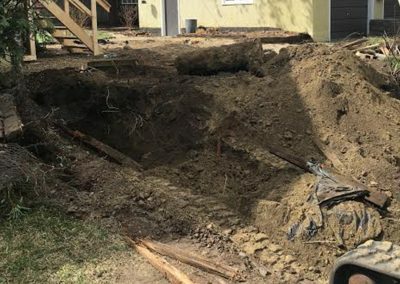 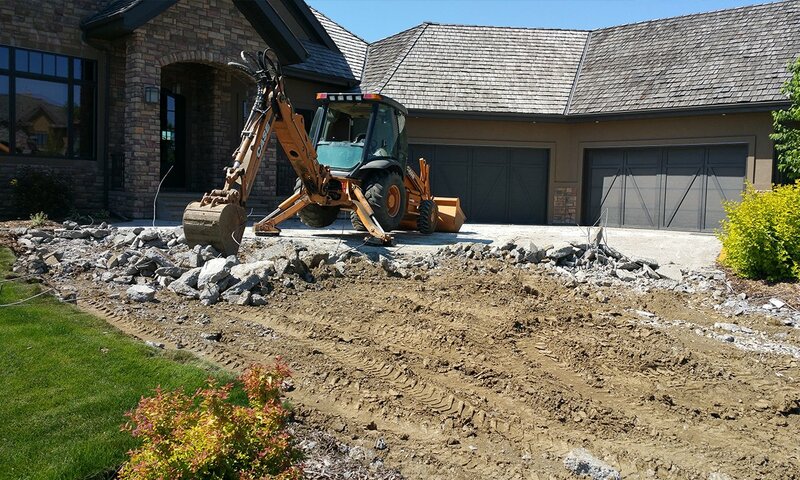 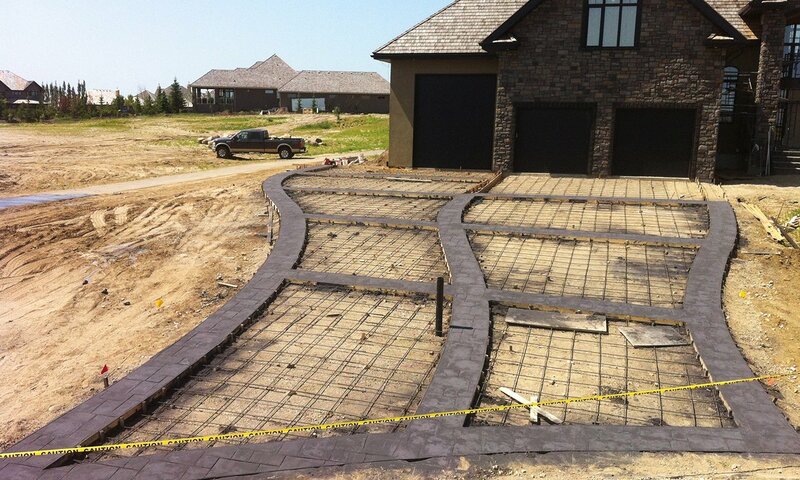 We started this project by removing the existing concrete and preparing the ground for the planned concrete. 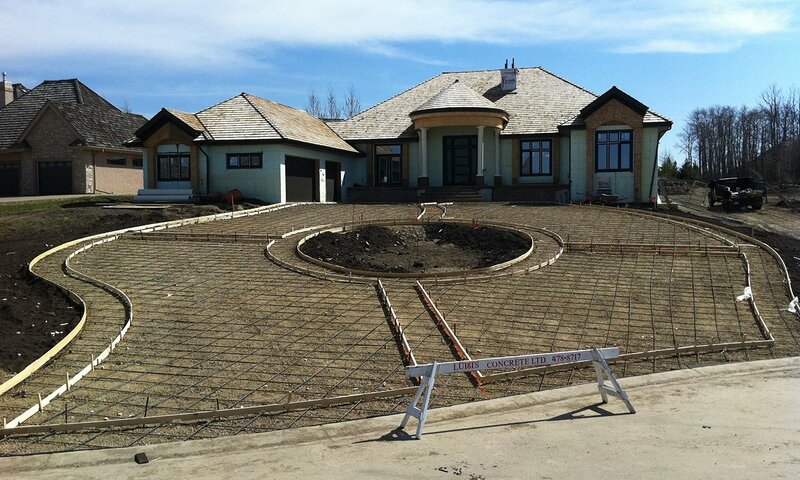 Next, we framed the shape of the pour, incorporating beautiful curved lines. 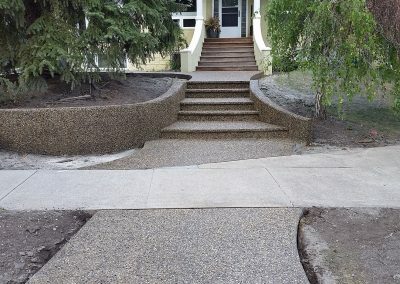 Finally, we poured and finished the exposed aggregate, leaving some of the chunky rocks visible for their beauty and function. 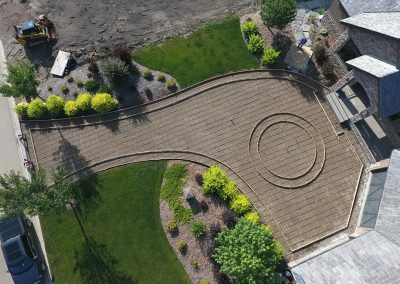 This project succeeded in creating a natural looking finish that blended with the garden and flowed through different areas of the property. 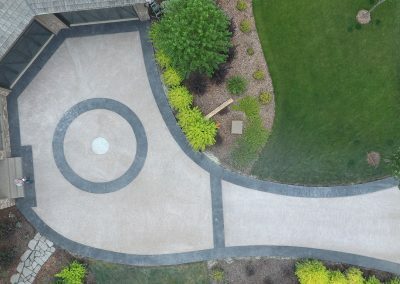 It helps create a feeling of unity and calm. 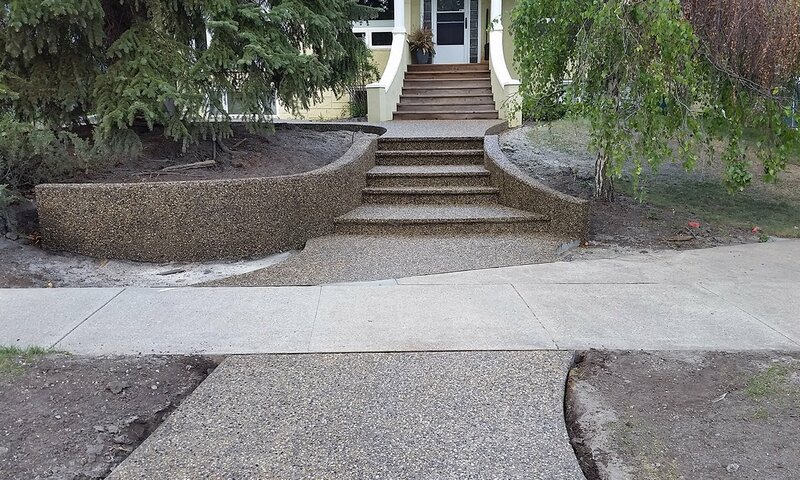 Another benefit is the traction provided by the exposed aggregate, creating a safer walking surface for pedestrians. 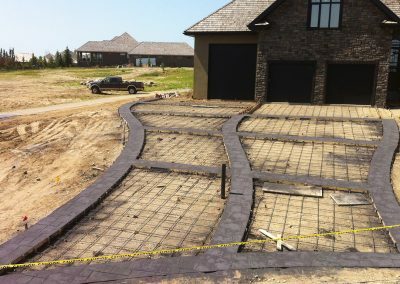 This is a great example of a residential driveway project that incorporates design elements to complement the features of the house. 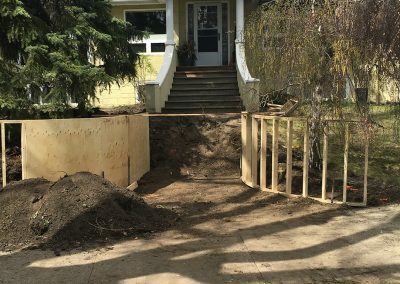 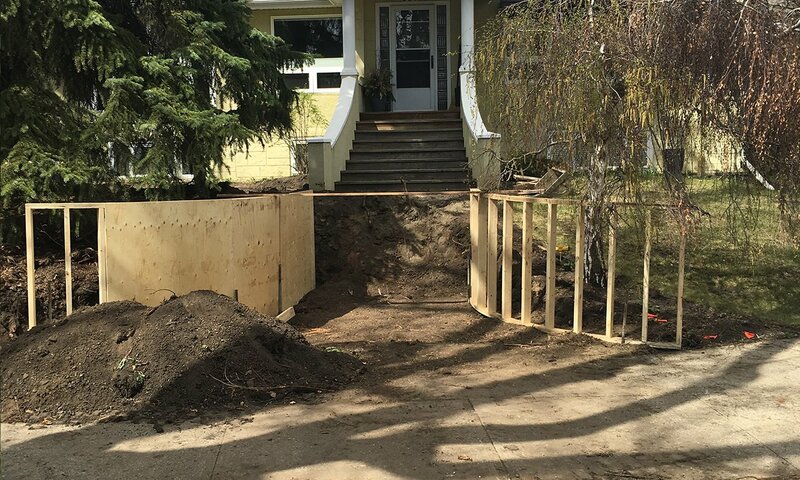 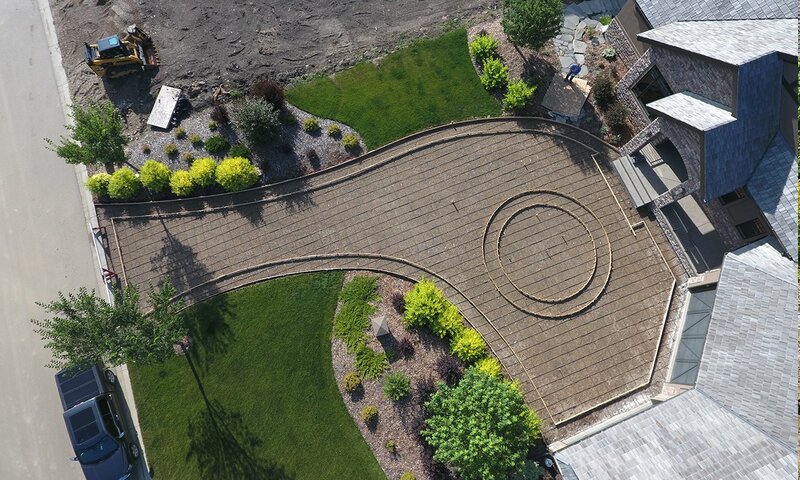 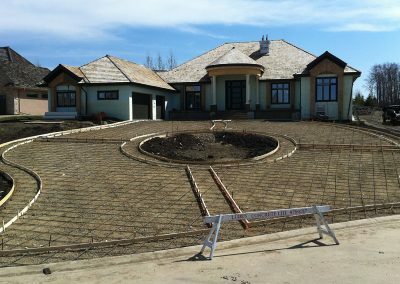 We started this project by levelling and preparing the earth before mapping out the shape of the driveway and constructing the frame. 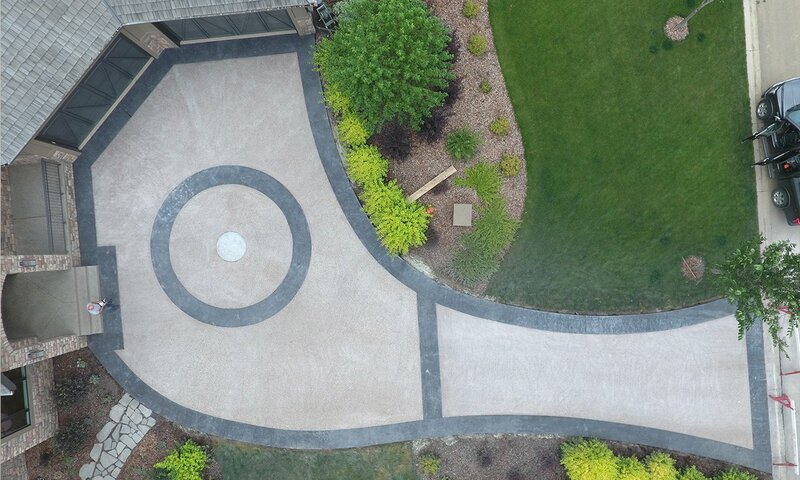 This client decided to incorporate a stamped border with classic poured concrete: it’s a popular design! 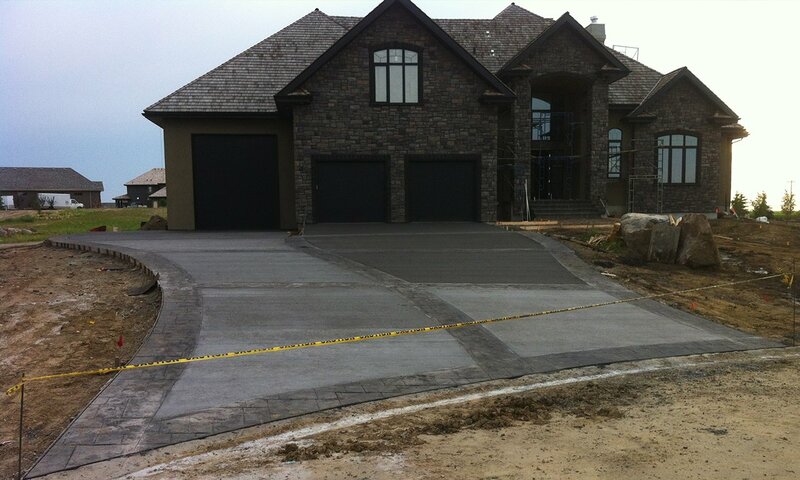 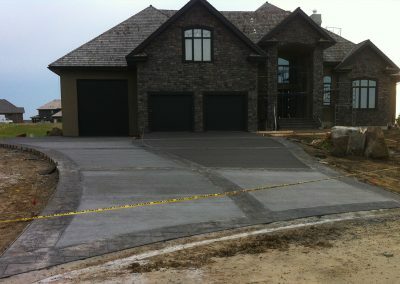 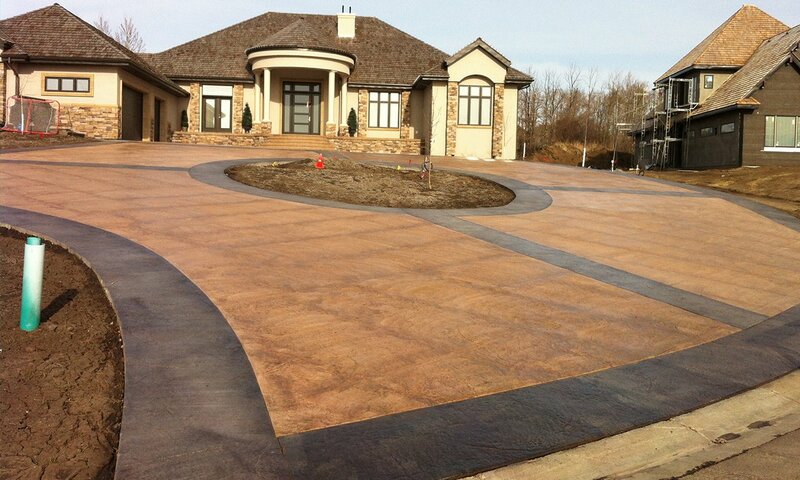 The outside of this driveway is stamped colour, and the interior of the design is a classic broom finish. 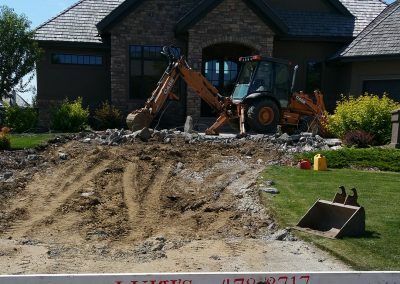 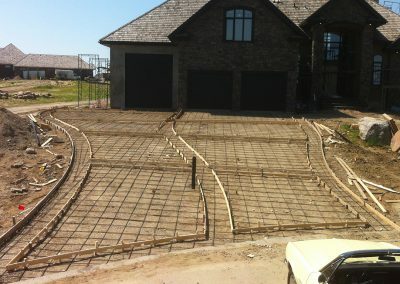 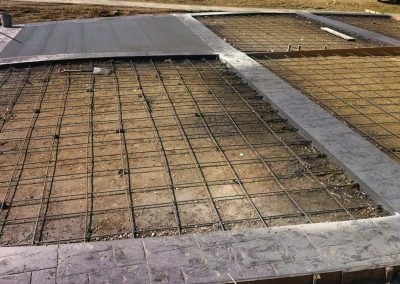 We begin creating the stamped borders of the driveway, pouring and stamping the concrete, and allowing it to set, before continuing to fill the centres. 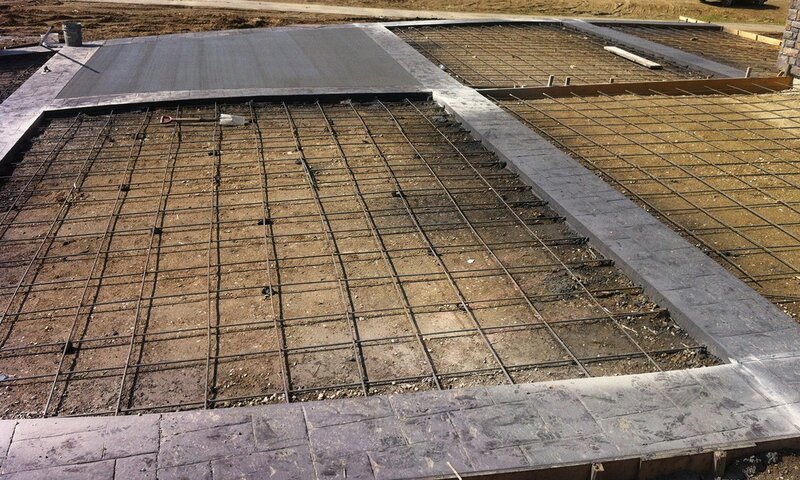 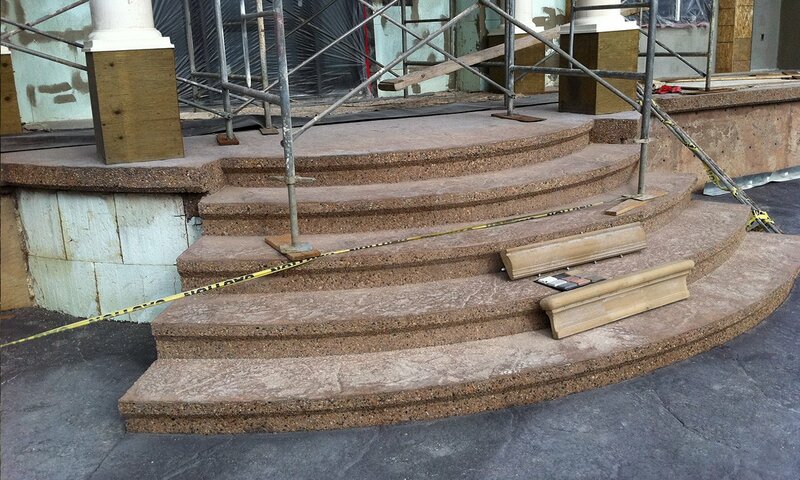 After that, we pour the remaining spaces, and make sure it is perfectly smooth. 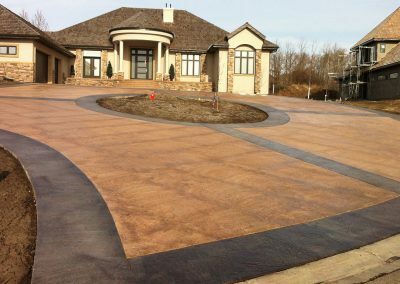 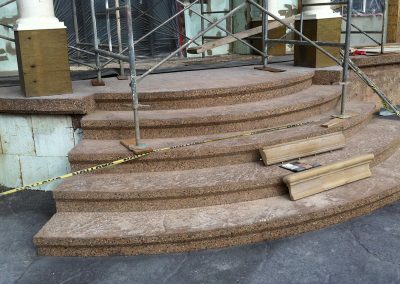 This project can be tailored to suit your own design specifications, with many colours and styles to choose from. 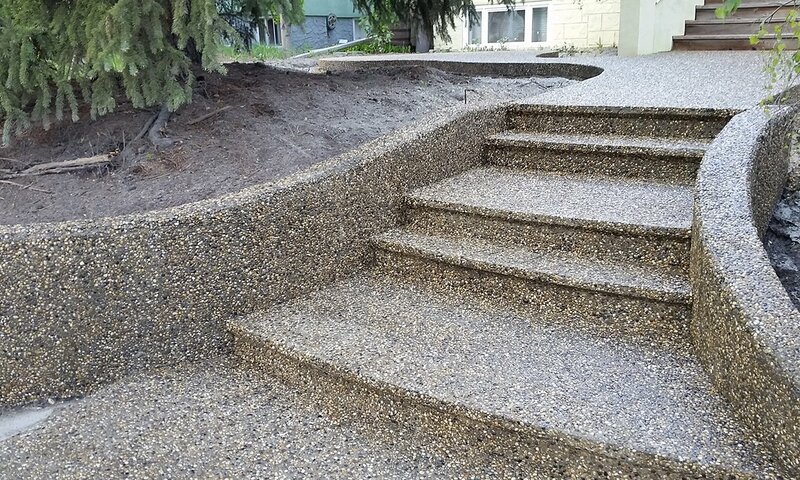 The divided sections contribute to the durability of the product, and make it easy to make repairs or modifications in the future.